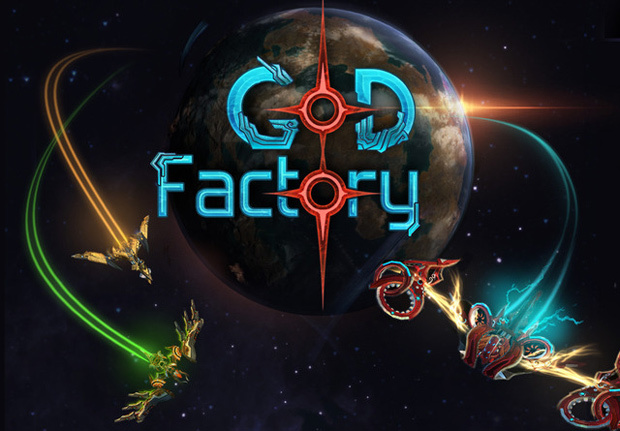 NAMCO BANDAI Games Europe S.A.S., leading video game publisher and developer, and Nine Dots Studio announced pre-order details for GoD Factory: Wingmen, coming out digitally on PC on August 29th 2014. 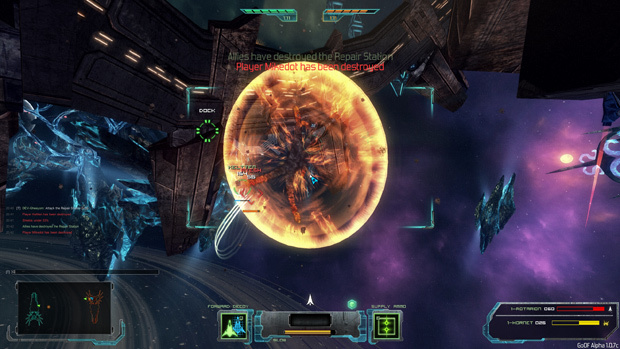 Fans are now able to pre-order the game on http://store.steampowered.com/app/262750/, to get their hands on an additional key offered, as well as extra content including a digital soundtrack & artbook and a Hypershiny skins pack. To embark on this epic space journey along with a friend, pre-order the game to get a second key for free for maximum fun team play! Fans will also extend the interstellar adventure and immerse themselves in the GoD Factory universe with the official 13 soundtracks from the Dual Dragons. A 40+ pages digital artbook will also allow them to discover the depth of the universe and the creative drawing of the gunships and characters. Last but not least, they will also get exclusive Hypershiny esthetic skins to customize their gunships, to be unique with Bright Copper, Bright Silver & Bright Gold skins.